Time is money! Let us help you save both. Eagle Automotive takes pride in providing you a quick & simple car buying experience. Try our Carfinder & let us find it for you. Time is money! Let us help you save both. Eagle Automotive takes pride in providing you a quick & simple car buying experience. Since our cars come from a professionally maintained fleet, we can provide complete service records on any vehicle. The Original Manufacturer Warranty still covers most vehicles sold by Eagle Automotive LLC. We also offer extended warranties at discounted prices. We will deliver your choice of vehicle to your doorstep. There are many options when it comes to buying a vehicle, especially a pre-owned one. With so many dealers out there, it can be hard to decide where to go. At Eagle Automotive Hertz Car Sales, we are making that decision a little easier for you. 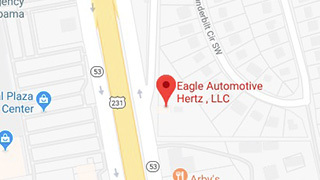 As a Hertz System Member, our inventory of pre-owned, non-smoking vehicles comes from the Eagle Automotive/Hertz fleet, which means you can trust the credibility of the vehicle's past records. 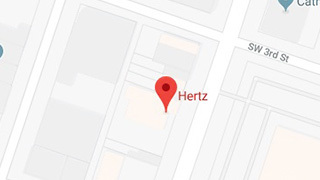 You can also trust that our managers and staff will have the answers you need to help you make your decision, because they have been with Hertz for many years and know the vehicles very well. 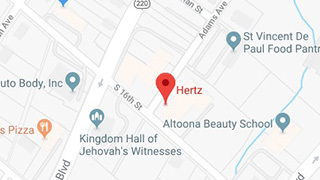 And finally, you can trust that our staff will be professional and courteous throughout the entire process, because they are motivated to make sure you are happy with your vehicle purchase and your experience at Eagle Automotive Hertz Car Sales.